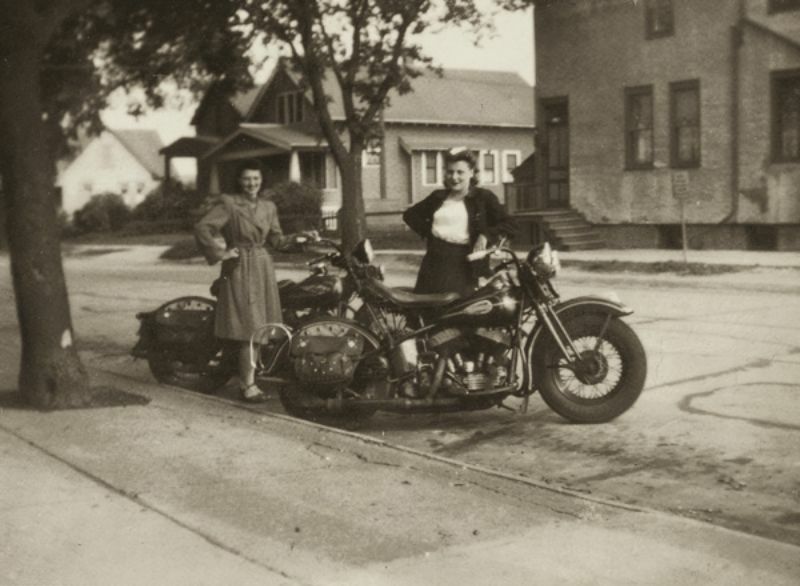 Clara Mayer and Adline VanVlanderen pose with their motorcycles in 1948 and in 2003 when they returned to recreate the photo in Cudahy, Wisconsin. According to Moto Lady, the original 1940s image appears in the HD museum available as a print. 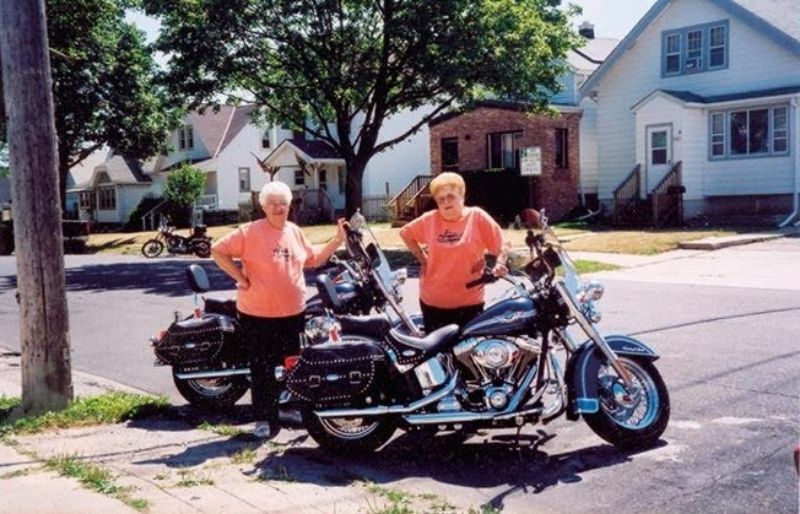 One can imagine these two lovely ladies reuniting after fifty odd years and comparing their new bikes to the old.